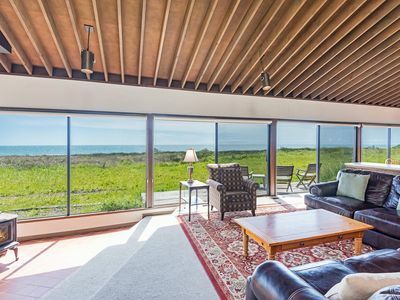 You'll find peace, seclusion, and gorgeous scenery at this dog-friendly Sea Ranch home, a tree-lined refuge with a private hot tub, an expansive sunny deck, and community access to beaches, pools, saunas, and tennis courts. 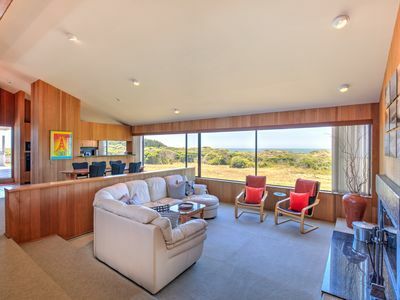 This classic Sea Ranch home sits in a grassy clearing among the coastal redwoods, just two miles north of the Sea Ranch Lodge on the east side of California Highway 1. 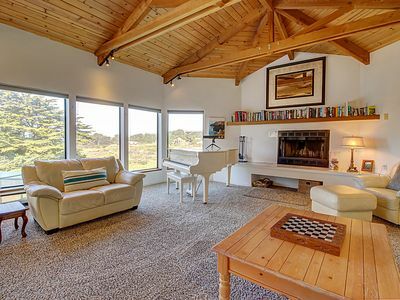 Take morning walks on Pebble Beach or the oceanfront Bluff Trail two miles west; enjoy the outdoor pool, tennis/pickleball court, and saunas at the Moonraker Recreation Center two miles south; and peruse the markets, restaurants, and galleries in downtown Gualala nine miles north. 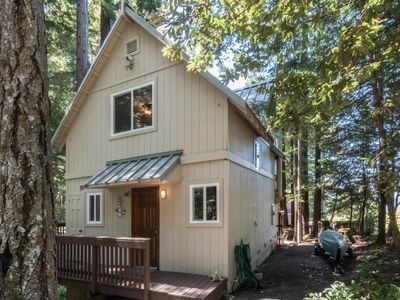 You'll find a hiking trail at end of driveway and across the street to explore surrounding area, and you'll also be within walking distance if the Sea Ranch "Hot Spot" - a local picnic and recreation area. 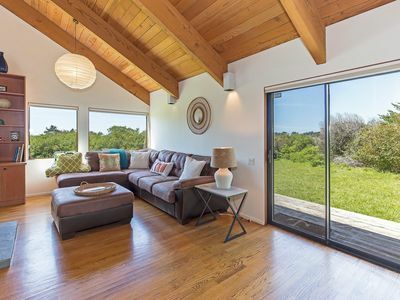 With its high ceilings and large picture windows, the interior living space was designed to bring the beauty of the outdoors in. 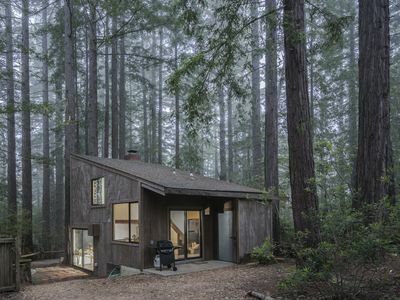 Spend your mornings reading the newspaper on the sofa, preparing homemade pancakes in the full kitchen, and using the free WiFi to identify deer, bobcats, and other passing wildlife. 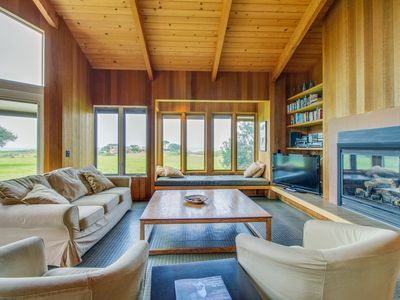 Schedule a morning tee time at the Sea Ranch Golf Links seven miles north, and come home to soak your tired limbs in the private hot tub. 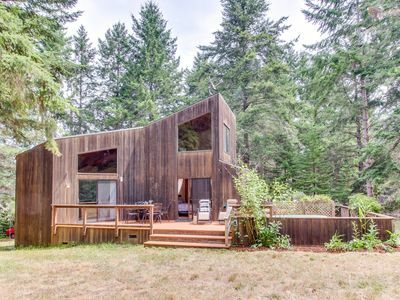 You'll have the rest of the day to walk your dogs on the Bluff Trail (please note that a two-dog limit and a small nightly pet fee apply), lounge in the sunshine on the deck, and dine al fresco with a beautiful view of the woods. 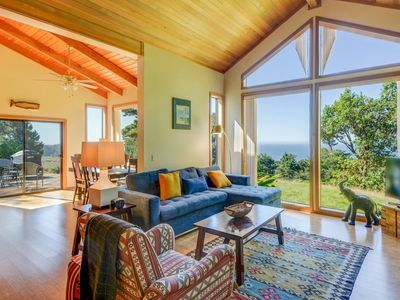 Experience the natural splendor of Sea Ranch in quiet comfort - begin planning your vacation to the Northern California Coast today! Parking Notes: The garage door opener is next to the lockbox by the front door and has a code of 1258. Press enter twice after entering in the code. 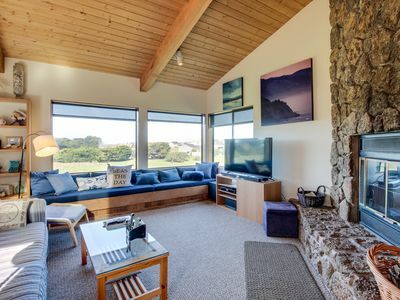 Reservations with 1-2 guests will receive one parking pass (unless otherwise specified); reservations with three or more guests will receive two parking passes. 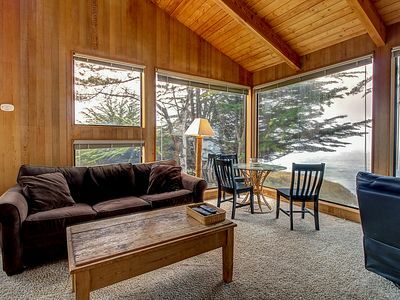 The Sea Ranch Association only allows two passes per reservation. 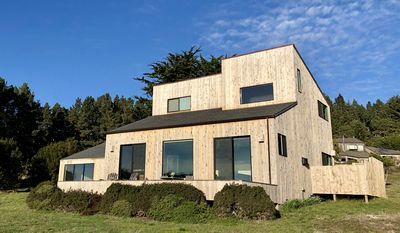 Parking passes are for cars parked within the Sea Ranch (at the recreation centers, hiking trails, etc.) and must be visible in the vehicles. For guests with more than two cars, any additional car(s) can be used to go to and from the house with a pass but will need to remain in the driveway otherwise. On-street parking is not permitted. 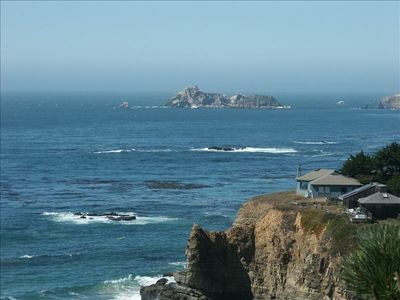 Any questions about parking restrictions should be directed to the Sea Ranch Association at (707) 785-2444. 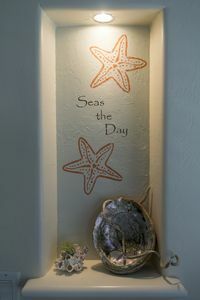 Office hours are Tuesday through Saturday, 8:30 AM-5 PM. 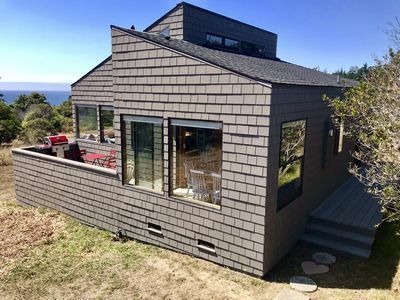 Dog-friendly oceanfront home w/ gorgeous views, a private hot tub & shared pool! 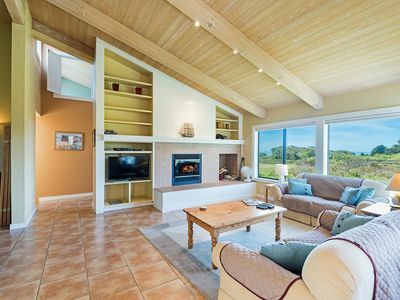 Near Walk On Beach w/private hot tub, shared pool, & ocean views, dogs OK! 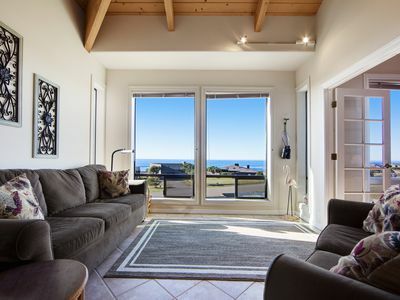 Peaceful seclusion with ocean view, patio, WiFi- Good for Groups! 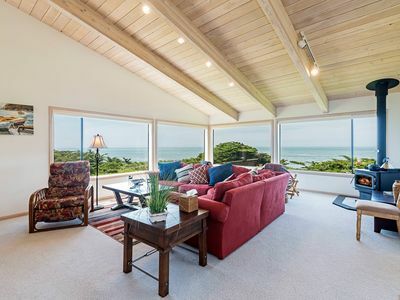 'Shiosai' - Luxury Oceanfront - 180 Degree White Water View! 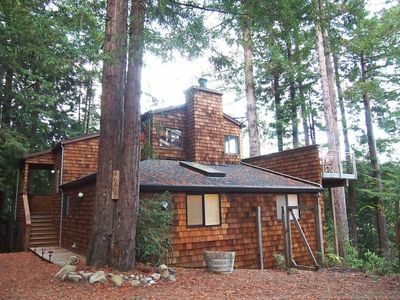 Architectural gem w/ private hot tub, redwood views & shared pools - 1 dog OK! 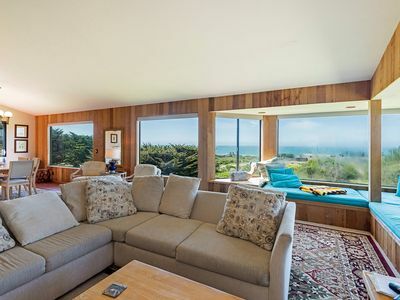 Oceanfront home w/ private hot tub, views, beach access & shared pools/tennis!